Dothan was first founded by the Alibamu and Creek Indians. Settlers moved in to clear the land in the early 1800's. Originally named Poplar Head, residents changed the name on November 11, 1885, choosing a name from the Biblical passage Gen. 37:17..."For I heard them say let us go to Dothan." October through November will find Dothan staging the 57th National Peanut Festival. The Festival's new home is a 3.7 million dollar, 150 acre fairground complex. Fully one fourth of all the peanuts grown in the United States, are grown in Dothan and the surrounding areas. 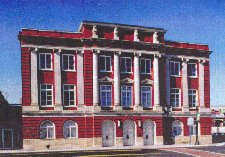 The Dothan Opera House, built in 1915, is on the National Register of Historic Places. From the white marble beauty of the lobby to the plush velvets of the parlors, the Opera House has been restored to reflect the elegance of the turn of the century South. This 100-acre park was built to preserve the natural and cultural heritage of southeast Alabama's Wiregrass Region. 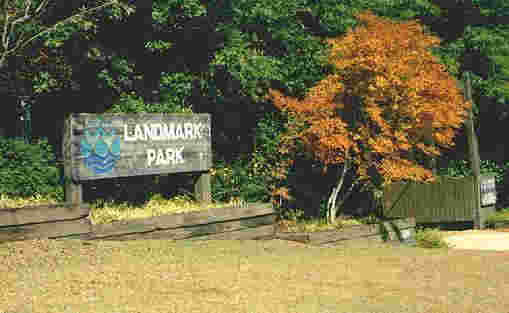 Landmark Park is more than just a place to look at. It is place in which to participate and experience. 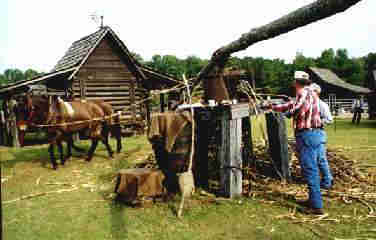 You can enjoy an 1890's living history farm complete with old farm house, smokehouse, cane mill, syrup shed, sheep, goats and pigs. Drift back in time in a Victorian gazebo, a one-room schoolhouse, a country store and a turn-of-the-century church. 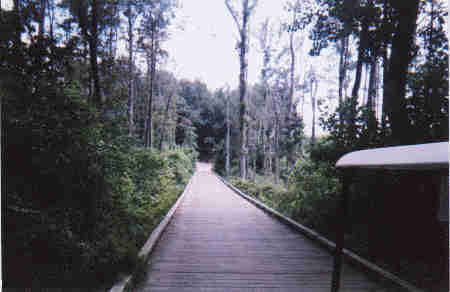 If we had the time, wouldn't a walk down this beautiful path be nice. However, we have a long drive ahead of us, so we'd better get started. Everyone back in the Chevy. We hope you've enjoyed the Dothan area. With over 300 years of history, Mobile is one of America's oldest port cities. 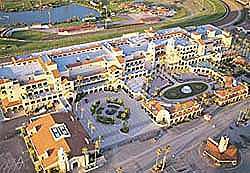 Six flags have flown over the city, and influences from all who have settled here are evident in the cuisine, architecture and culture. 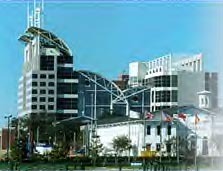 Mobile's historic downtown now boasts a contemporary landmark. 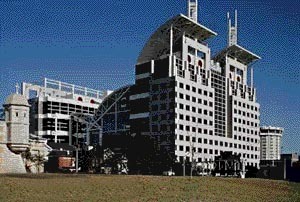 This is the combined city/county adminstration and judicial complex completed in 1994. There's a lot to see here, so let's move along. 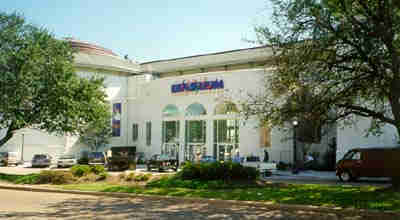 The Gulf Coast Exploreum is a museum of science and technology with a focus on visitor participation. Children, in particular, enjoy the Exploreum. There are many hands on projects for them to discover. 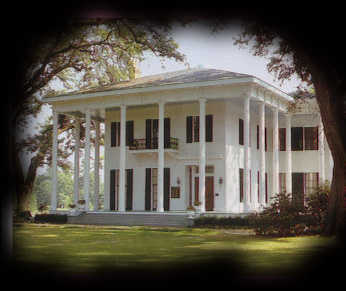 Surrounded by stately oak trees, Bragg-Mitchell Mansion is one of the Gulf Coast's grandest antebellum homes. 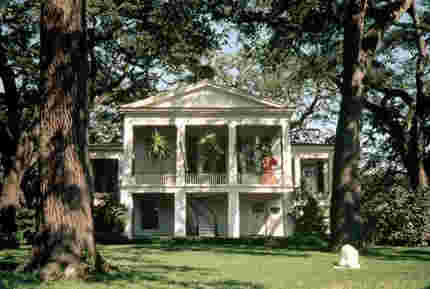 When it was built in 1855 by Judge John Bragg, the house was the center of a lively social life in the thriving cotton port of Mobile. The U.S.S. 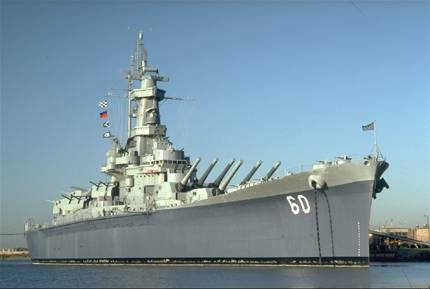 ALABAMA (BB60) was built in the Norfolk, Virginia Navy Yard and commissioned on August 16, 1942. It was transferred to the Pacific Fleet in August 1943. ALABAMA began hurling 1,900 to 2,700 pound projectiles at enemy artillery, bunkers and troop positions. In the summer of 1944, ALABAMA struck targets in Japan, itself, with devasatating effects. She was decommissioned in 1945 and was "mothballed" in Bremerton, Washington until 1964 when she was transferred to the State of Alabama. She was towed 5,600 miles to the U.S.S. Alabama Battleship Memorial Park. 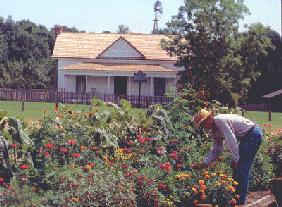 Oakleigh Period House Museum Historic Complex sits on 3-1/2 landscaped acres. It houses the offices of the Historic Mobile Preservation Society and is the image of what most of us picture as the premier antebelleum home. 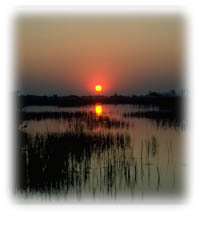 Well, I see the sun is setting over Mobile Bay, so it's time for us to crank up the Chevy and leave Alabama. We hope you've enjoyed your trip through the "Heart of Dixie." This tour presented by Bobby.